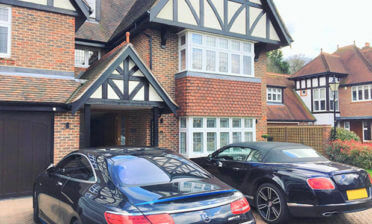 Ben and Vinnie installed these shutters to a property in Petts Wood, Kent. The client was looking for the ultimate window dressing instead of curtains. 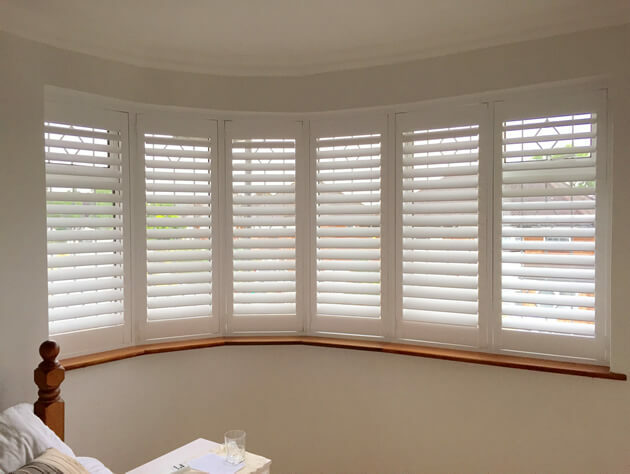 Creating the shutters from scratch we are able to bespoke make the shutters to match the exact shape and contours of this curved window, creating a millimetre perfect finish! 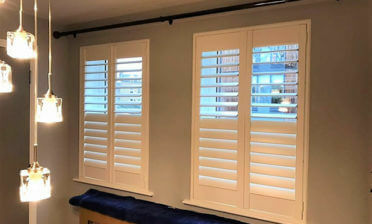 The shutters were created using wood from our Bali Range which is light weight, yet still very durable and rigid. Perfect for a window of this length. They are full height in style with a hidden tilt rod system allowing the client to adjust each panel of louvres through the touch of a single 76mm slat. 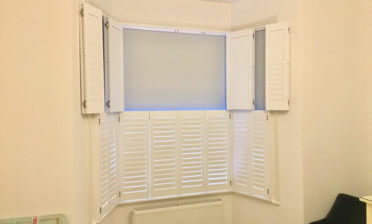 We finished the shutters in silk white with matching white hinges which looks fantastic great with the existing decor around the stairwell. By simply opening each shutter panel on the hinges the client is able to fully access the windows behind them.